Friday Noon. - 6 p.m. - Showers and storms, some strong/severe with heavy rain, damaging winds and even an isolated tornado. Friday Night: After 7pm showers pull away, windy and colder. Friday: Mostly cloudy and mild with showers and storms, some strong to severe, especially in the PM. High: 72. Friday Night: Early shower/storm, clearing windy & colder. Low: 50. 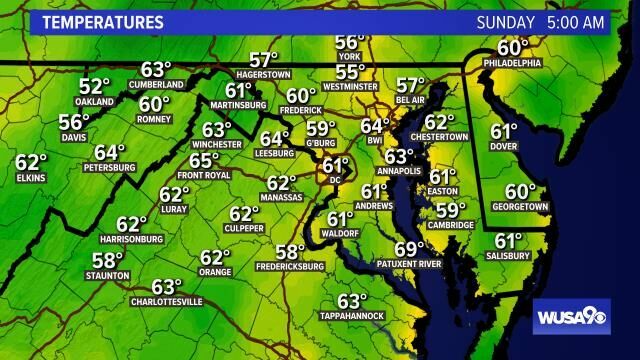 Saturday: Mostly sunny, windy and cooler. High: 68. A cold front will swing through Friday in the late afternoon giving us a chance for showers and storms during the day. There will be pockets of heavy rain as the storms ramp up Friday afternoon. 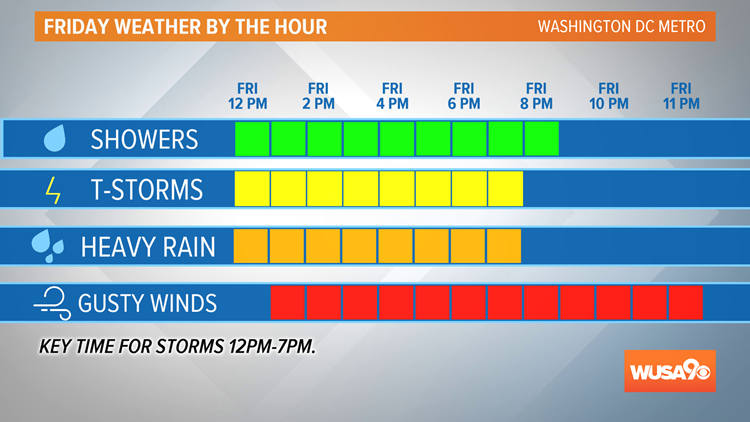 Some storms will be strong Friday afternoon into the early evening and a few could even be severe with a threat for damaging wind gusts and even an isolated tornado. We don't believe it will be as serious as our severe weather threat as last week but we will keep a close eye on the storms as they develop. The storms clear early Friday evening leaving us windy and colder into Saturday. App users click here to see the European Futurecast model. Friday: Mostly cloudy and mild with showers and storms, some strong to severe, especially in the PM. Highs: 70 - 75. Winds SW to NW 15 - 25 +. Friday Night: Early shower/storm, clearing windy & colder. Lows: 42 - 52. Winds: NW 15 - 25 +. 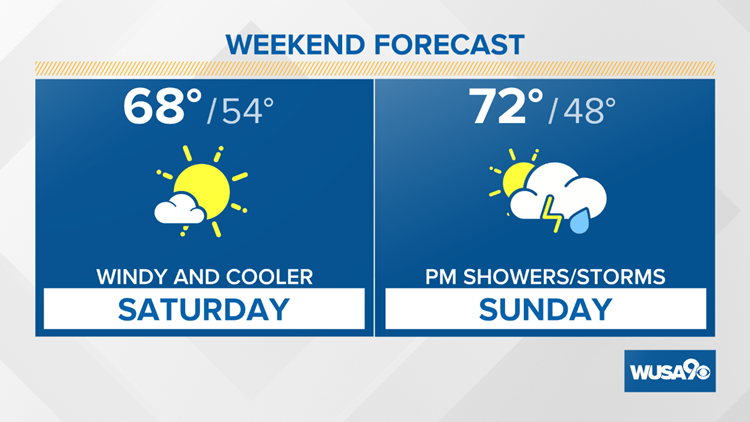 A cool down returns at the start of the weekend with highs in the upper 60s Saturday. Milder Sunday with highs in the low 70s with a few showers/storms possible. Saturday: Mostly sunny, windy and cooler. Highs: 65 - 70. Next week starts off with sun and highs in the 60s. Showers are in the forecast Tuesday and Wednesday. Highs will return to the 80s by Tuesday. Monday: Mostly sunny then turning partly cloudy with a chance for showers Monday night. 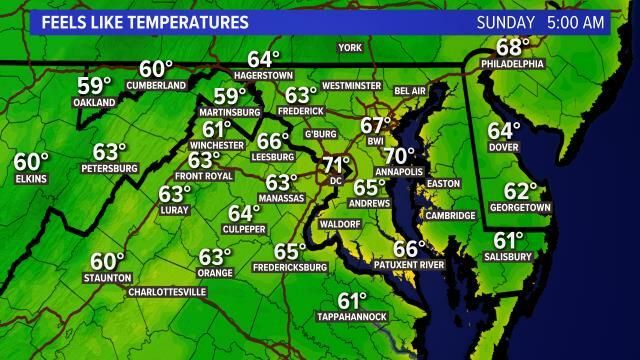 Highs: mid to upper 60s. Tuesday: Partly cloudy and warmer with a chance for showers and storms. Highs: low 80s. Wednesday: Partly cloudy and warmer with a chance for showers and storms. Highs: low 80s.